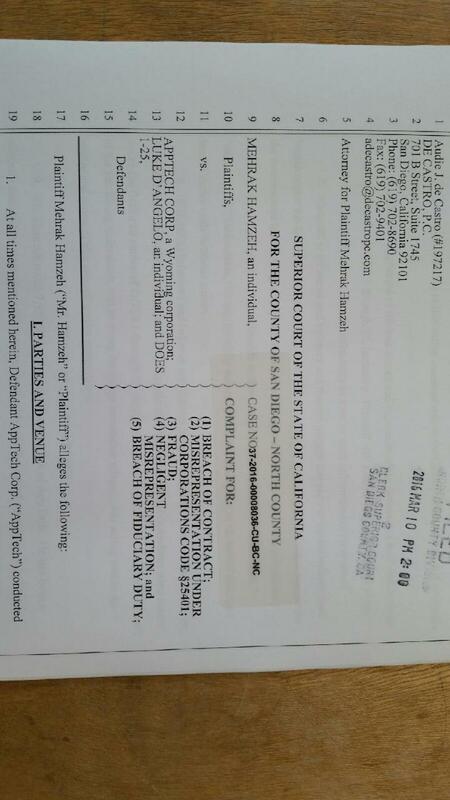 Hamzeh sues AppTech Corp for alleged fraud, breach of contract and negligent misrepresentation. The complaint filed March 10, 2016 is available at the Superior Court of State of California for the County of San Diego – North County. The Case No is 37-2016-00008036-CU-BC-NC.